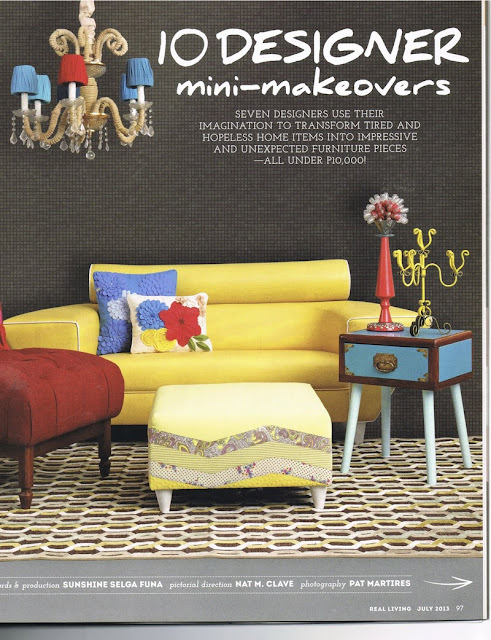 Real Living asked me if I wanted to participate in their Mini-Makeover series for their anniversary issue, and of course I said Oh yes yes yes. I love makeovers, I do it just for fun, and now they wanted me to do it for fun and for a feature, ummm... I'm so in. The deal was, they'll asked 7 designers/decorators, to re-do a piece of furniture or home accessory, with just the guideline of: walnut, blues, reds, yellows. Not all together of course, unless you wanted to. 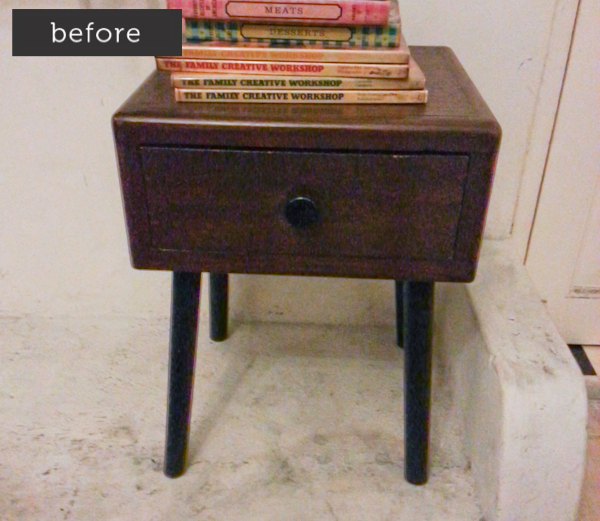 I fell in love with its shape- simple rounded corners, with tapered legs. So much potential. The bf and I brainstormed on what to do with it. He mentioned that it looked like a vintage suitcase and that's where the inspiration came from. 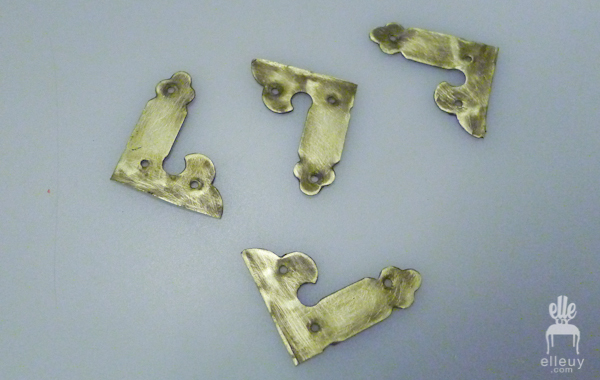 Originally, we we're looking for suitcase-ish looking hardware, but we found none of those. Super nice but dirty hardware from old storage dresser. It's perfect. 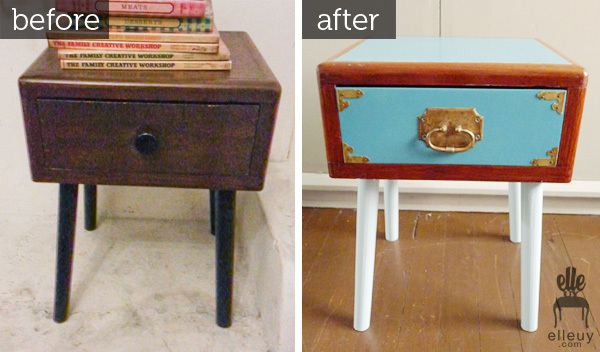 Buffing goes a long way! 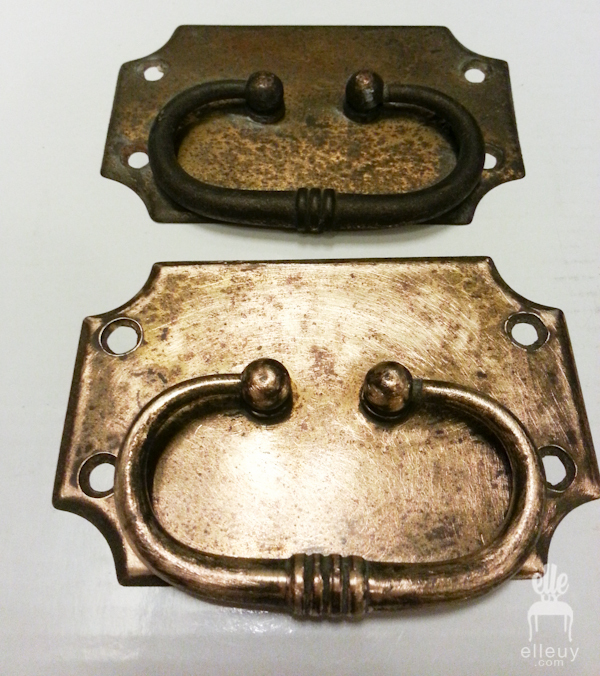 Here's before (above) and after (below) buffing. We don't want to make it like brand new. Just the right amount of patina and shininess. As for the piece itself, while stripping everything to raw wood, we noticed that the borders were solid narra while the inside were just ordinary plywood. 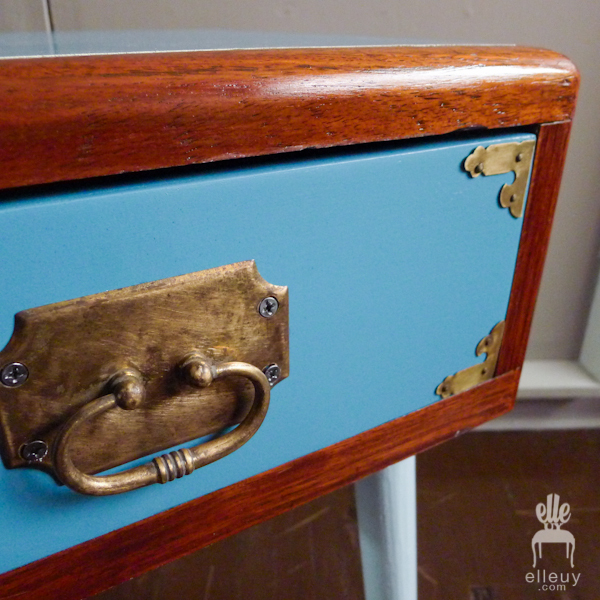 Which is why we left the borders in stained wood, and painted the side and front drawer blue. 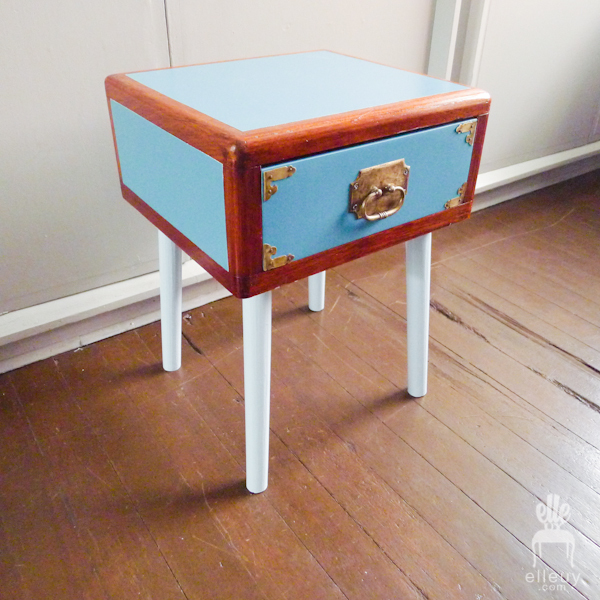 Reminiscent of vintage suitcases with their contrasting trim. The hardware went into the drawer front. (which the bf installed, thank you!) The corner piece and the statement handle really made the table. Without them, it's just too simple. 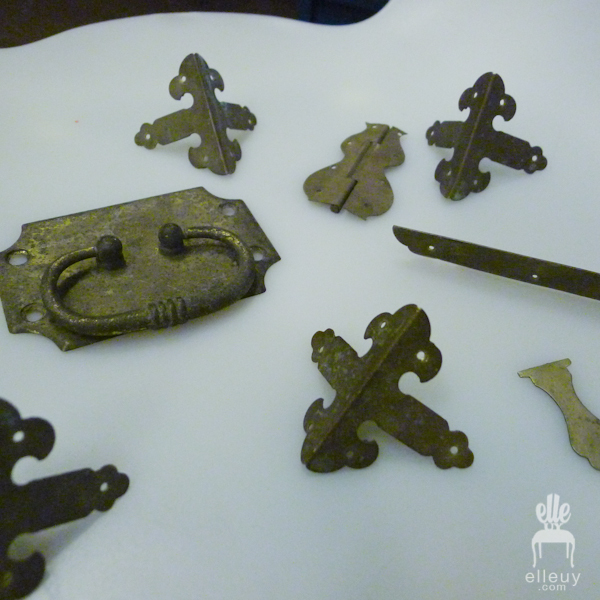 What I love most about vintage furniture: shape, structure, and hardware. 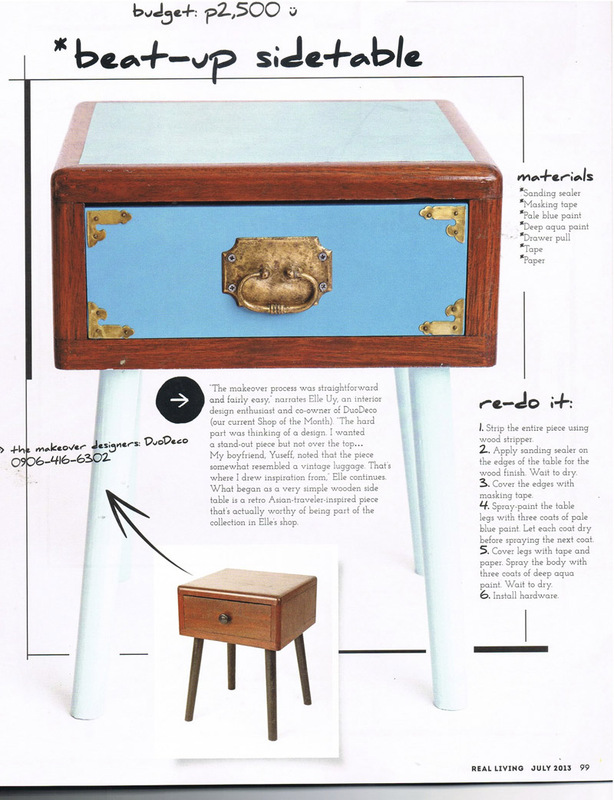 Here's the table together with the pieces the other designers redid. Really cute set-up! And here's the table in all it's professionally photographed glory! If only I could keep it! Haha... This was fun and thank you again to Real Living team for making us part of this series. Grab your copy of Real Living July issue. Full of great stuff, pinky-promise.